Being a Rotarian means you sometimes visit businesses in the area hoping to sell ad space in the Rotary sponsored Henry County Elementary Schools Spring Musical Program - now in its 64th year. One of the joys of that is that you may meet cousins you never knew you had. If you are descended from Father Dickey Wood there are many, many cousins to meet. 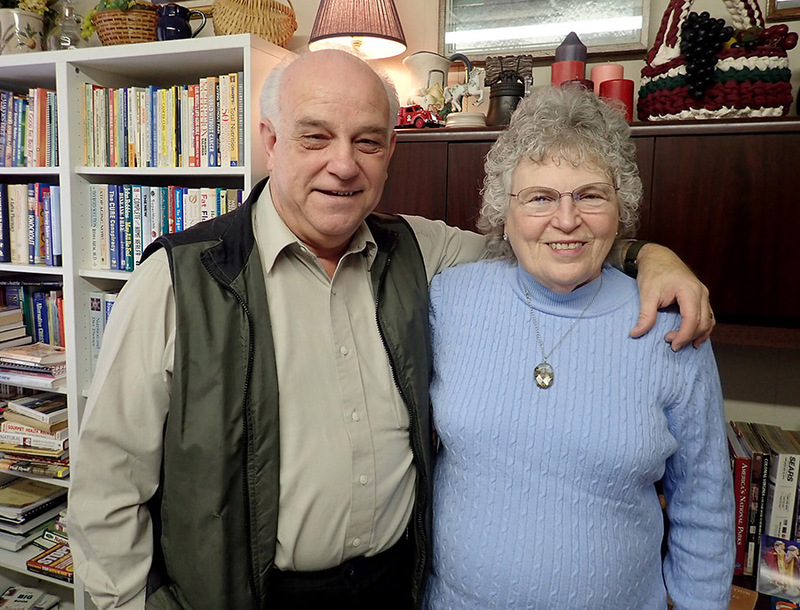 Here are Paul and Linda Wood Hopkins who are both, along with this author, descended from Father Dickey of long ago. They operate AmazinGrape in Ridgeway where, if you visit, you will learn the benefits of muscadine grape seed which is really full of nutrients and antioxidants. Visit their website at AmazinGrape.com.